Attorney Smith has been with Lovejoy and Rimer, P.C. since 1993 and is Head of the trusts and estates department. Attorney Smith concentrates his practice on matters involving estate and trust planning and administration, contested probate matters, voluntary and involuntary conservatorships, psychiatric commitments, advising individual and corporate fiduciaries, and all Probate Court related cases. In addition, he represents contractors and individuals in residential/commercial real estate contracts, closings, and financing. Attorney Smith has frequently served in various fiduciary-related capacities such as trustee, executor, and conservator upon appointment by numerous Probate Court Judges throughout Fairfield County, and has also been entrusted in such roles directly through designation by clients. Trust departments of National financial institutions- advising and providing technical support pertaining to trusts and fiduciary responsibilities. Hospitals in probate court related cases such as conservatorships, psychiatric commitments, and end of life decision making. Attorney Smith has represented a major regional hospital for the last 15 years on probate matters, achieving greater than a 95% success rate on contested cases. Estate planning clients rely upon Attorney Smith’s experience and judgment drafting Wills, revocable living trusts, irrevocable trusts, special needs trusts, living wills, and power of attorney instruments individually tailored to the client’s situation. Many clients prefer a low cost simple Will, while others require more complicated and sophisticated estate tax planning. Attorney Smith will explain the costs and potential benefits of the various options so that you and your heirs will be protected while limiting costs to the services you require. Estate and trust administration clients benefit from Attorney Smith’s experience advising executors, administrators, and trustees with respect to their fiduciary duties, obligations, and potential liability to beneficiaries, heirs, and creditors. Attorney Smith is well suited to guide you in the proper procedure and strategy to achieve the best possible outcome throughout the various Probate Courts of Fairfield County. While most executors elect to rely heavily upon the firm’s resources, others may have the time, inclination, and knowledge to take a more “hands on” approach to the probate process. Attorney Smith can customize an approach that fits the client’s preferences. Attorney Smith understands that clients have varied priorities, personalities, and objectives, while recognizing that all clients expect efficient, effective, and responsive representation. Attorney Smith received his undergraduate degree in Business Administration from the University of Richmond in 1988, and his Juris Doctorate from the University of Richmond School of Law in 1992. 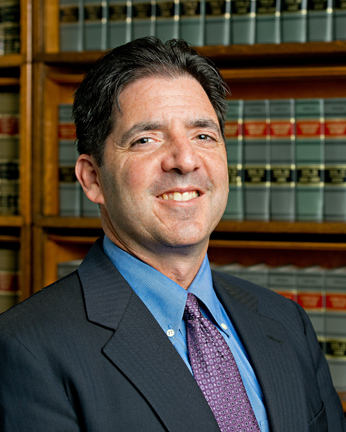 Attorney Smith co-chaired the Probate and Estates Section of the Fairfield County Bar Association for many years, has lectured on various probate-related topics, and is a member of the Connecticut Bar Association. Born in New Haven, Connecticut and raised in Norwalk and Wilton, Attorney Smith continues a family tradition by maintaining a lifelong professional commitment to the local community that is based upon a foundation of honesty and integrity. He has also served on various local boards, community organizations, and enjoys coaching youth sports.